At Filham Moor Garage, we can replace clutch Ivybridge for most makes and models of cars including vans. When a clutch nears the end of its service life, the most common symptom is higher revs without a noticeable increase in speed. This is a result of the clutch plates slipping as they try to engage, so your engine revs higher without any (or much) noticeable difference in acceleration. Another symptom of a worn clutch when it’s put under load or pulling away, the driver may notice an unpleasant burning smell caused by friction on the clutch plates. 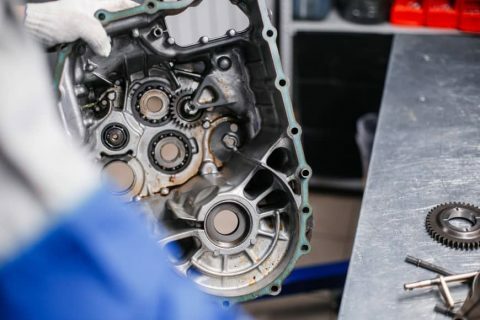 When a clutch begins to slip, you should make arrangements to have it replaced sooner rather than later, if your clutch totally fails it will leave your car undriveable. My clutch pedal is high? A high clutch pedal doesn’t necessarily mean your clutch is at fault. Sometimes a the clutch cable or mechanism is the cause. 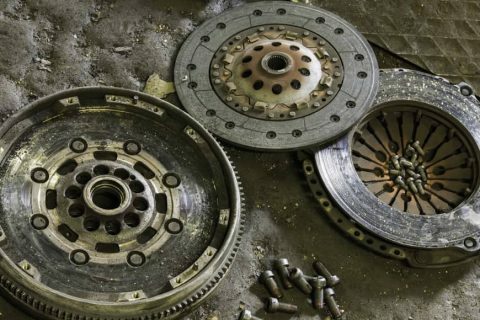 Clutch judder can be caused by a number of different faults such as worn engine mounts, oil (fluid) contamination on the flywheel, or a scored flywheel caused my riding the clutch. The lifetime of a clutch varies from each manufacturer, the use of the clutch also plays a vital role on how long a clutch lasts. E.G. If a car is mainly used for motorway driving, this can in most instances increase the life of the clutch due to infrequent clutch changes.